This Friday we arrived safely and sound to Asunción after a small trip to Rio de Janeiro, Brazil (~1400 km ENE of Asunción). The trip was exhausting; about 35 hours in bus. The bus was OK, and moderately comfortable; but after spending 30+ hours on it everything is a source of discomfort and one gets increasingly squeamish. Rio is a beautiful city indeed. The intersection of the lush Tijuca Forest and the mountains with the modern city is just amazing. The beaches are almost all beautiful, but the best was Barra da Tijuca without a doubt. Located in an exclusive part of the town, its waters are refeshing and clean, and the beach itself doesn’t get too crowded. On Sunday I had the opportunity to attend the 19 h (evening) service of the Presbyterian Cathedral of Rio. The building is a real cathedral-like temple, imposing, with beautiful stained glass windows. The sermon, preached by its pastor emeritus, was based on Romans 2:1-16. The not-so-great part was that this service was “contemporary”, with contemporary praise music (including a praise band with a drum set), but all was done with care and reverence. The service order was a superb example of the regulative principle of worship. As usual, Brazilian hospitality was at its finest. People were nice and accomodating, but one must bear in mind that Rio is in a class by itself when it comes to crime and security. A couple who traveled with us was resting at the Ipanema beach when suddenly they saw themselves surrounded by young gangsters who almost mugged them. Only the timely intervention of a wise local man prevented this from happening; they were able to exit the beach unharmed, but surrounded by police. There were homeless persons and beggars everywhere. If you happened to eat outside in a restaurat with tables on the sidewalk, it was common to get interrupted by homeless persons asking (nicely) for some soda or food. And, of course, the “communities” or favelas –irregular settlements at the sides of the hills– spread all around Rio, and this is a huge social problem. 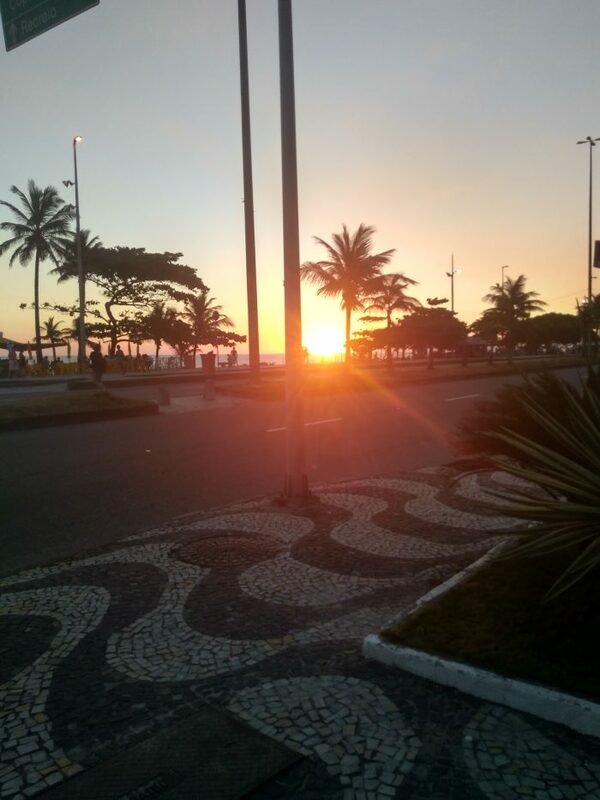 But this should not detract from the incredible beauty offered to us in Rio de Janeiro. The lush forest, the beaches, the amazing combination of modern and classical architecture, the laid-back nature of most inhabitants of Rio, all of them makes Rio an unique destination, truly one of the great cities of the contemporary world. I’m grateful to God for His gift of this trip, which my wife and yours truly enjoyed immensely. God willing, we plan to return someday, sooner than later.